Pianist, born 5 December 1956 in Zabrze. Best-known for his renditions of Chopin's music. Pianist, best-known for his renditions of Chopin's music. I have decided that next year I will give a series of concerts in Western Europe, Poland, and in the United States. During these, I will perform both of Fryderyk Chopin's piano concertos [...] I have had the honor of performing these works with some of the greatest conductors from Poland and other countries. I learned something from each one of them and with time, assimilating various ideas and combining them with my own maturing vision of Chopin's concertos, I developed the conviction that I would like to do them on my own 'from a to z,' starting with 'making' the orchestra itself. I do not know if you have noticed that all orchestras today play the same way. Relying on one's ears alone, it is impossible to tell if one is listening to a London orchestra, one that is Parisian, New York-based, or from Tokyo. The recording industry has succeeded in 'globalizing' interpretation. I have trouble finding unique performance characteristics in existing orchestras. In addition, orchestras dislike rehearsing and I love to rehearse, for weeks at a time even. I came to the conclusion that I would have to find a group of people who would share my passion for experimentation and work with them to try to create something that would be a blend of my experiences of the last twenty years. This, in fact, is precisely what happened. The Polish Festival Orchestra, composed of young Polish musicians, was assembled through extensive auditions over which Zimerman personally presided. The great pianist held innumerable rehearsals with the young musicians and together they embarked on a tour during which they gave over thirty concerts in some of Europe's most significant music institutions, in four Polish cities, and in the United States, among other places at Carnegie Hall. Wherever they want, Krystian Zimerman's appearance was the source of sensation. In Paris an additional concert date was added at the Salle Pleyel. In July of 1999, at the Witold Lutoslawski Polish National Radio Concert Studio in Warsaw, Deutsche Grammophon recorded both of Chopin's concertos in the Polish Festival Orchestra's rendition. Within a few weeks the album was published and immediately sold out throughout the world. Krystian Zimerman's concept for the interpretation of the concertos met with extremely varied reactions, which ranged from exuberance on one hand, to accusations of blasphemy on the other. 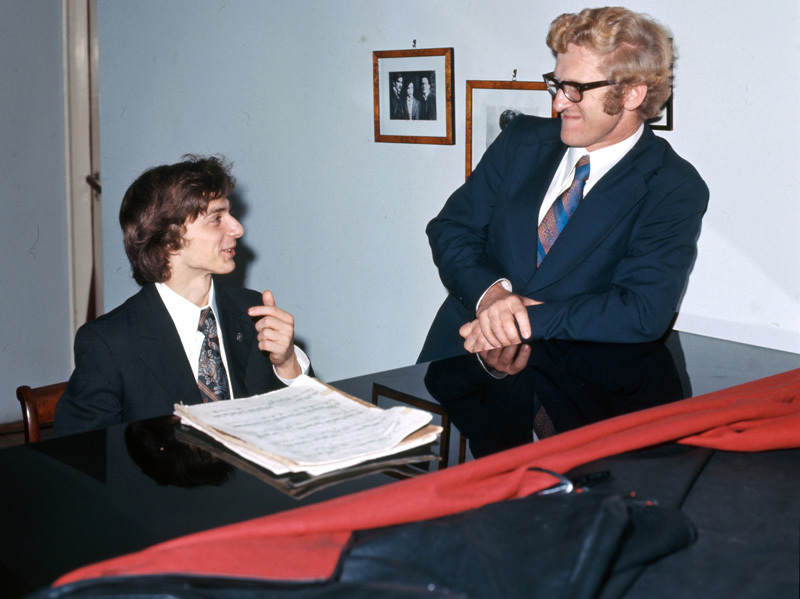 Zimerman began to study piano at age five with his father, also a pianist. Two years later he became a student of Andrzej Jasiński's and remained a student of his until his training was completed. In 1973 he won top honors at the Ludwig van Beethoven International Piano Competition in Hradec Kralove, and his first prize at the International Fryderyk Chopin Piano Competition in 1975 launched his international career. Artur Rubinstein invited Zimerman to Paris in 1976, and this would prove very significant to the development of the young artist. Krystian Zimerman has performed with many exceptional orchestras and worked with some of the world's most outstanding conductors, including Claudio Abbado, Leonard Bernstein, Pierre Boulez, Herbert von Karajan, Bernard Haitink, Seiji Ozawa, Lorin Maazel, Riccardo Muti, Zubin Mehta, Andre Previn, Stanisław Skrowaczewski, and Simon Rattle. He has worked many times with Kaja Danczowska, Kyung-Wha Chung, and Gidon Kremer. Zimerman's recording career is based on an exclusive contract with Deutsche Grammophon, a label for which the artist has recorded twenty-two albums that have brought him a number of prestigious awards. The artist's repertoire encompasses the works of Fryderyk Chopin, Franz Liszt, Franz Schubert, Johannes Brahms, Edvard Grieg, Bela Bartók, and the chamber music of Cesar Franck and Karol Szymanowski. In 1985 Zimerman received the award of the Accademia Chigiana in Siena for best young musician of the year, while in 1994 he was recognized by the Leonie Sopnning Music Foundation in Copenhagen. Since 1984 he has been living in Basel, where he leads master classes in piano. 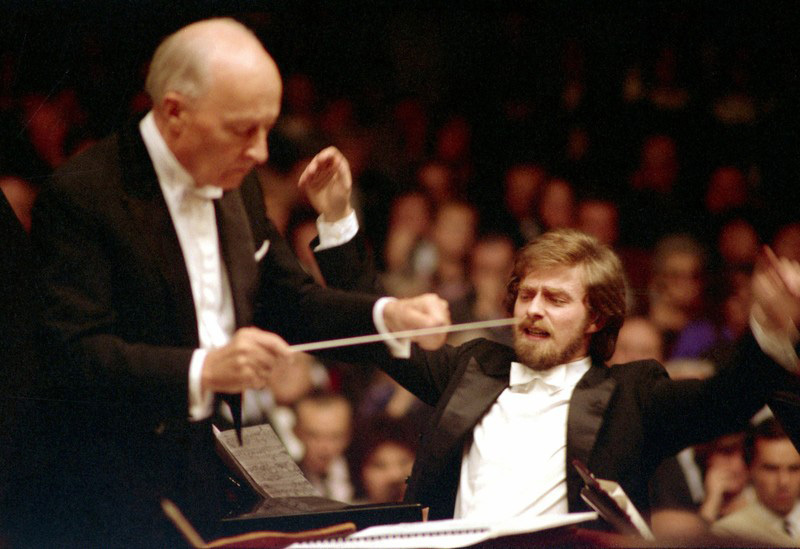 In 1999 Zimerman created the Polish Festival Orchestra, a chamber orchestra that proved immensely successful during a vast tour organized to celebrate the 150th anniversary of Fryderyk Chopin's death. 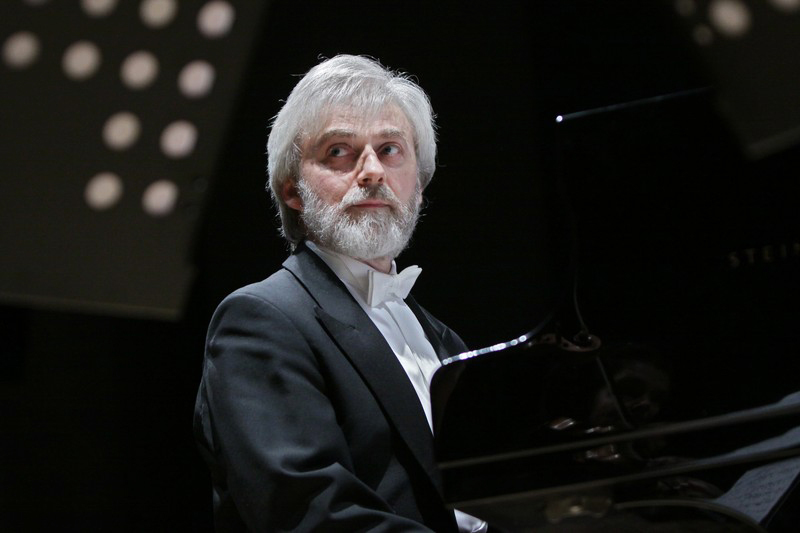 Krystian Zimerman provides perhaps what is the most spectacular example of success experienced by a winner of the Chopin Competition. Victory in a significant competition does not always guarantee a blooming professional career. In fact, as the number of competitions constantly expands, instances of this are becoming increasingly rare. Amongst winners of the first prize at the Chopin Competition, solely the career of Martha Argerich matched Krystian Zimerman's in terms of rank, though it should be said that they developed differently, probably due to the diverse characters of these two great artists. To a great degree, Martha Argerich acts spontaneously and generally refrains from calculating the consequences of her every decision. Krystian Zimerman's actions on the other hand seem deeply thought out and carefully planned. As a result, they are fewer and farther between. Zimerman generally avoids the limelight, limits the number of live performances he gives, records relatively infrequently. As a result, each artistic endeavor he decides upon is awaited eagerly and closely watched. Zimerman's execution of both concertos at times differed at a very fundamental level from accepted standards, standards that hold, among other things, that the orchestral scores of Chopin's works are a none too fortunate addition to the piano score. It is often said, with a dose of irony, that Chopin was no master of orchestral instrumentation and wrote voices that are difficult to play: the brass instrument parts are in the wrong registers, the strings, on the other hand, have such long note values that they cause the violinists pain... Approaching the orchestral score based on this conviction usually results in the execution of a piano piece with additional accompaniment played by an orchestra that exists apart from the pianist. This translates into lack of respect for the integrality of the work, which Chopin nevertheless composed as a concert piece; and though the piano score is prioritized, the orchestra should perform in harmony with the soloist. The music of Chopin requires particularly sensitive performers and could indeed prove ungracious and boring to orchestras that restrict themselves to "replaying" an accompaniment. Chopin's music must be felt, performers must open up to it, and this is no easy task for an orchestra. The beauty of the orchestral score and the subtlety of the dialogue between the instruments of the orchestra and the piano only emerge in the best executions. Customarily, however, the piano is enveloped by a shapeless mass of background sound that eradicates individual voices and the unusual charm of Chopin's instrumentation. In January 2005 Zimerman was presented with the order of the French Legion of Hnour by the Minister of Culture Renaud Donnedieu de Vabres at the MIDEM Awards in Cannes. He also was given the prize for Orchestra Music at the first edition of the MIDEM Classical Awards ceremony for his rendition of Rachmaninov's I and II Piano Concertos, performed by the Boston Symphony Orchestra under the direction of conductor Seiji Ozawa. 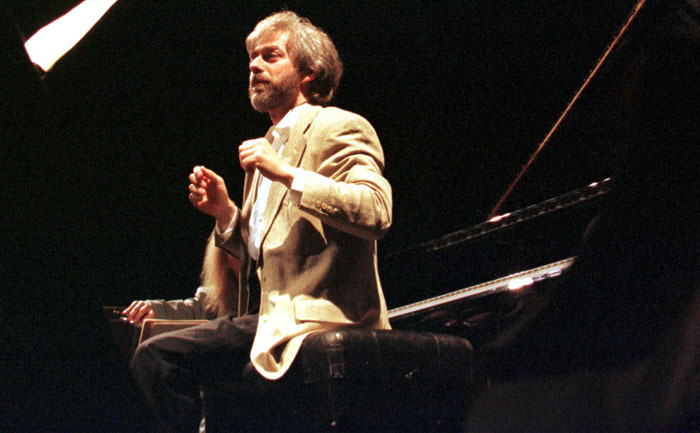 Zimerman's last British ­appearances, in 2008, suggested his ­peerless piano-playing is no longer quite as ­reliable as it once was. On this night, though the surface polish was there, it took a while for the performances to focus. The F sharp Nocturne Op 15 No 2 was routine, and even the first movement of the B flat minor Sonata was gruff, hurried and overpedalled. Then things gelled: the sonata's scherzo was ripplingly ­fluent, the funeral march full of magical ­colours and gradations, its ­transition to the ­enigmatic finale ­perfectly stage-­managed. An ­astounding account of the great B flat Scherzo Op 31 then ­followed – not as dramatically fierce as some ­performances, perhaps, but ­superhumanly controlled even through the ­ferociously demanding climax.Zimerman seemed distracted during the B minor Sonata, repeatedly ­glaring at someone in the stalls, though his ­playing hardly ­suggested this. Everything was wonderfully ­supple, close to Dinu Lipatti's legendary ­recording but with an assertive edge to the finale, while the ­iridescent Op 60 Barcarolle was a ­demonstration both of Chopin's harmonic genius and ­Zimerman's gifts. Source: Polish Music Information Center - Polish Composers' Union, December 2001, updated October, 2010.